Today, the Canadian Society of Landscape Architects (CSLA) announced its 2019 Awards of Excellence. This year, 16 projects received National Awards. These award-winning projects are preeminent examples of Canadian landscape architecture. They illustrate the range of what landscape architects do and how landscape architects are helping to reshape our communities – defining the places we want to live, work and play. 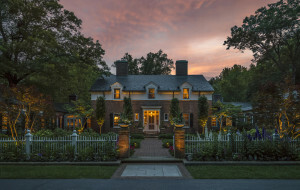 Virginia Burt FCSLA, FASLA of Virginia Burt Designs (VBD) is delighted to announce that one of our projects, Hunting Valley Residence: Classical Stewardship, has won a 2019 CSLA National Award in the category of Residential Landscape. The Hunting Valley Residence is a country estate and one of VBD’s treasured landscape projects. Formed by an original Abram Garfield designed house, the courtyard is a classic example of positive outdoor space. The 1929 summer house was built for one of the daughters of Samuel A. Mather, a forefather of Cleveland’s industrial boom. Please view the details of this beautiful landscape on the Virginia Burt Designs website: Hunting Valley Residence: Classical Stewardship. More details to follow as the CSLA divulges further award details over the coming days. Landscape architects today are engaged in the design, planning and management of urban, rural and natural environments in all Canadian provinces and territories and in many countries worldwide. Canadian landscape architects are well-regarded for their vision, creativity, sensitivity and practicality in all aspects of professional practice, creating unique functional outdoor spaces for our citizens, as well as protecting and enhancing the environment. The CSLA is the organization which gives landscape architects a national voice and, through its provincial component associations, regulates the profession of landscape architecture through licensing or certification of its members. Virginia Burt, FCSLA, FASLA, creates landscapes and gardens of meaning for residential clients, healthcare facilities, and academic and governmental organizations. Virginia graduated with honours from the University of Guelph in 1985 and worked in offices in Aspen, Colorado and Toronto, Ontario before founding Virginia Burt Designs in 1996. Virginia’s love of the land, the inspiration for her work, began early in her life. Growing up on an apple farm Virginia developed a passion for being outside and understanding the rhythms of nature. 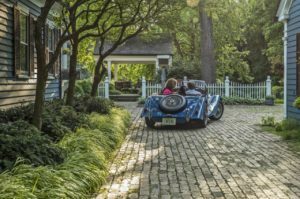 For more than 30 years, Virginia’s design philosophy has reflected these roots, enabling her to create gardens and landscapes that reveal their natural context and sensitively reflect and support those who use them. Virginia is one of 7 women in the world designated as a fellow in both ASLA and CSLA.